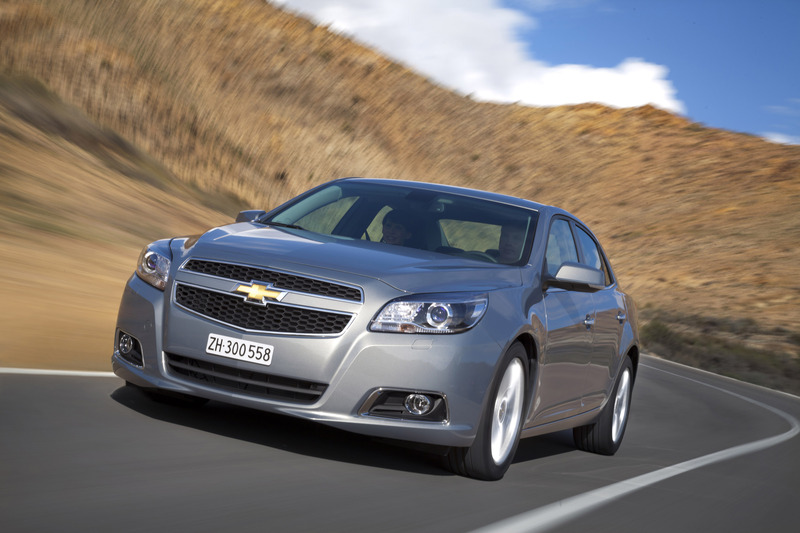 The all-new Ecotec 2.5L debuting on the 2013 Chevrolet Malibu midsize sedan this summer is one of the most-powerful naturally aspirated four-cylinder engines in the midsize segment, topping the output from the new Ford Fusion and Toyota Camry. 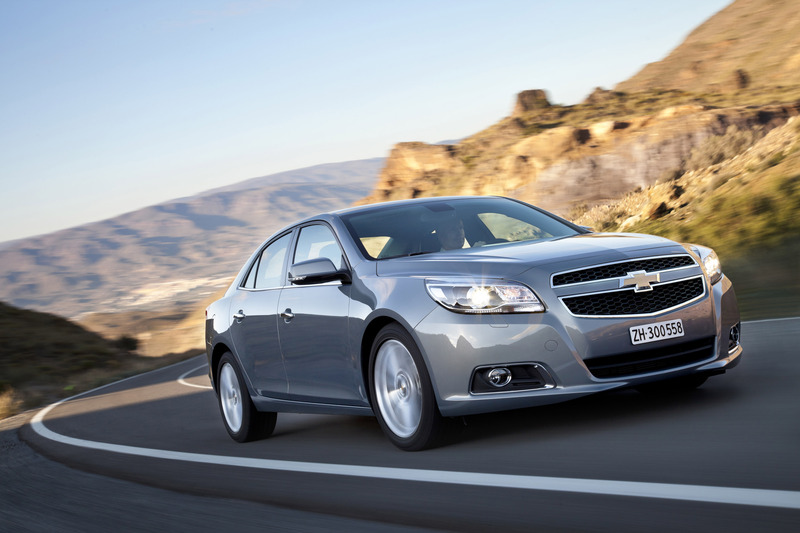 It will be joined this fall by a new Ecotec 2.0L turbo engine, delivering more horsepower than any previous V-6 offered in a Malibu. 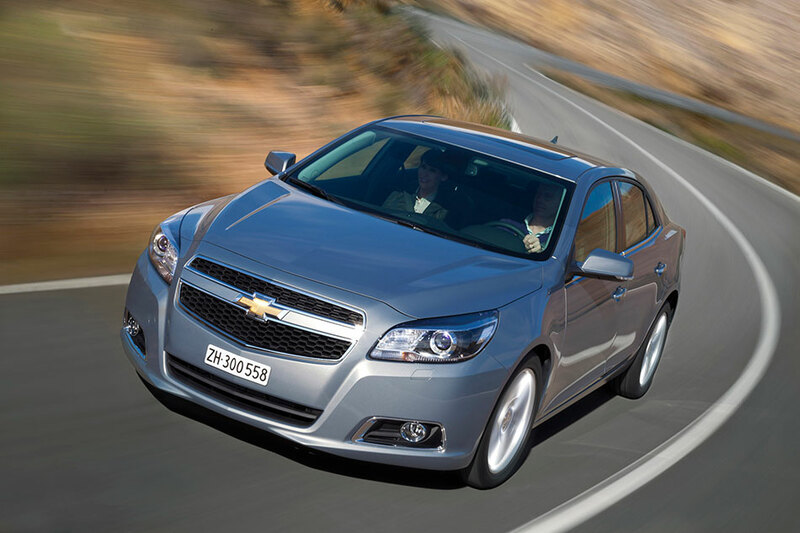 Malibu's Ecotec 2.5L delivers an SAE-certified 197 horsepower (147 kW) and 191 lb.-ft. of torque (259 Nm) – the most torque of any naturally aspirated four-cylinder in the segment. And when compared with the competition, it delivers 19 more horsepower (14 kW) and 21 more lb.-ft. of torque (28 Nm) than the 2012 Toyota Camry LE's 2.5L I4 engine, and 27 more horsepower (20 kW) and 21 more lb.-ft. (28 Nm) than the 2013 Ford Fusion's 2.5L four-cylinder. 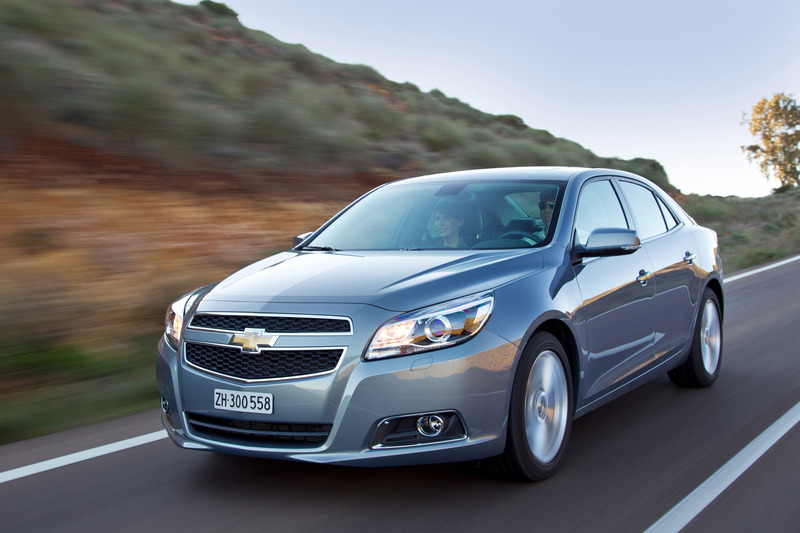 The Ecotec 2.0L turbo is SAE-certified at 259 horsepower (193 kW) and 260 lb.-ft. of torque (353 Nm). Its peak torque is sustained from 1,700 to 5,500 rpm – a broad range that provides an immediate feeling of power in all driving conditions and helps produce 0-60 performance in 6.3 seconds. 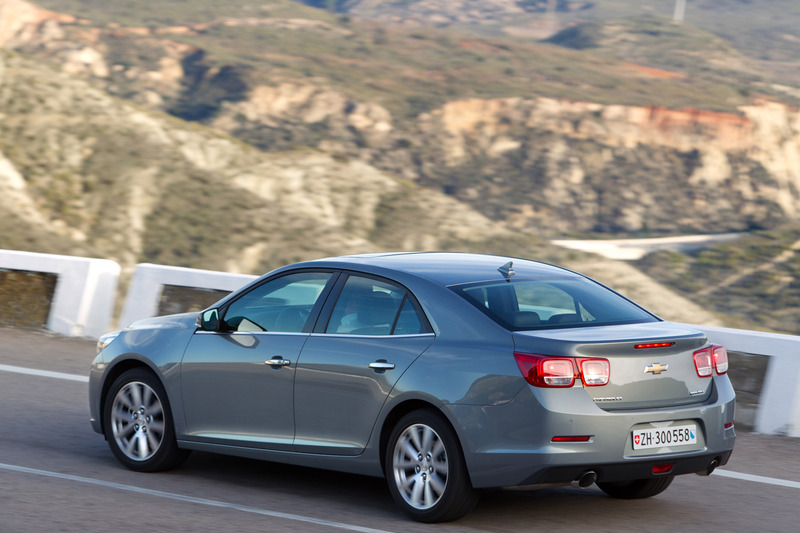 The new engines feature direct injection for increased fuel efficiency and higher power, and help drive Malibu's performance around the world. 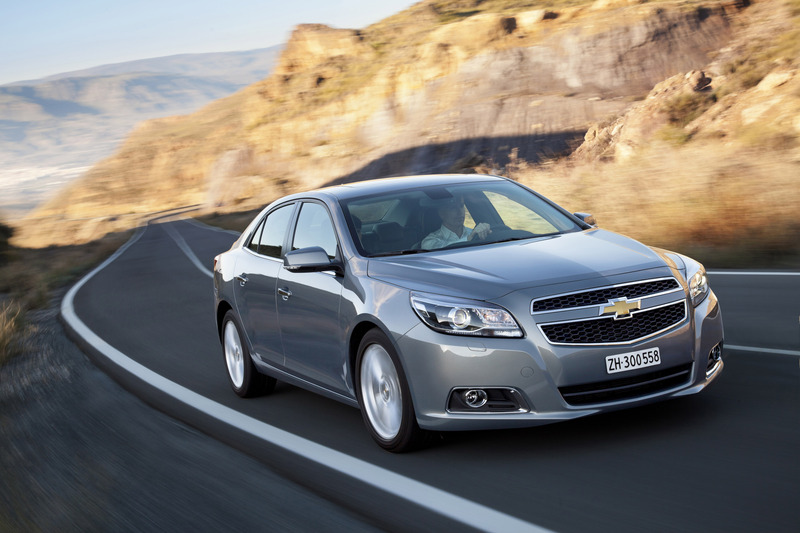 Both will be offered in the United States, Canada, Israel and other markets, while rounding out a diverse North American powertrain lineup that also includes the segment-exclusive, fuel-saving eAssist™ technology in the Malibu Eco. 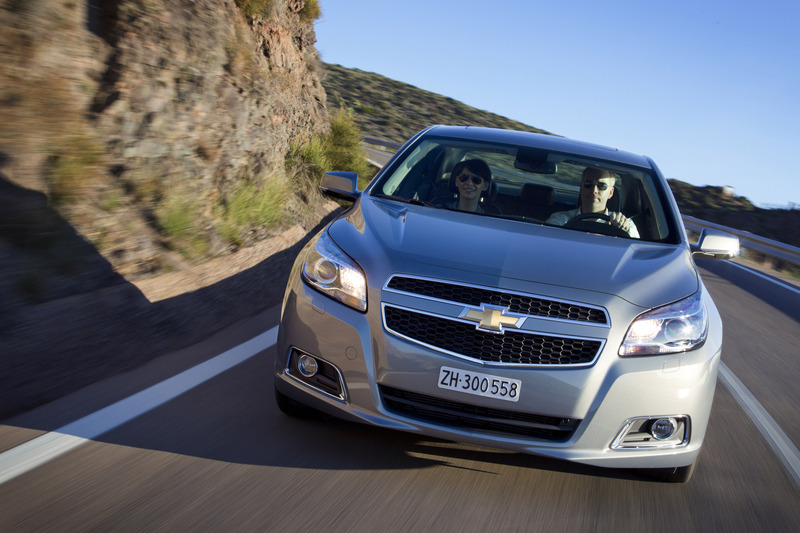 It combines start-stop technology with regenerative braking and a lightweight lithium-ion battery to provide an electric boost in certain conditions, delivering a GM-estimated 25 mpg in the city 37 mpg on the highway. That's better fuel economy than any non-hybrid midsize sedan currently available. "The 2013 Malibu is the latest entry in Chevrolet's growing global car portfolio, which has seen almost an entirely revamped lineup in the last 15 months," said Chris Perry, global Chevrolet marketing vice president. 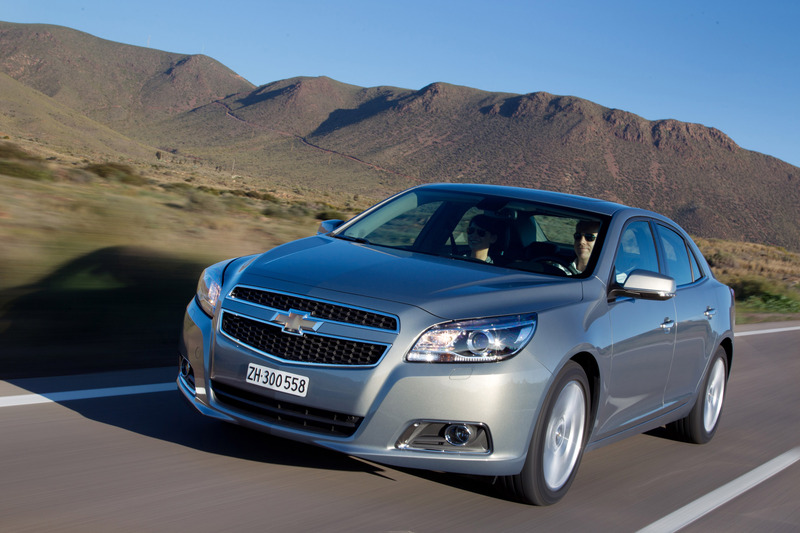 "We sold 4.76 million Chevys worldwide in 2011 – one every 6.5 seconds – and the new Malibu will help us grow the brand globally even more this year, where it will be introduced for the first time in many markets." 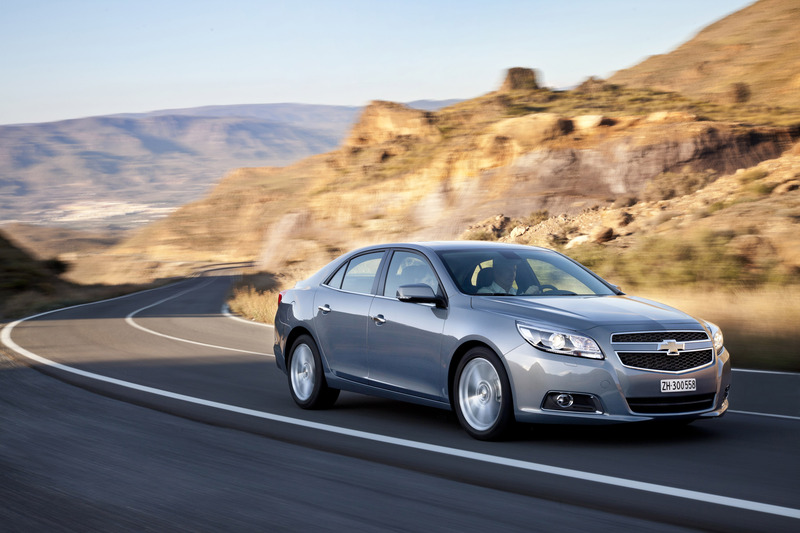 The 2013 Malibu is Chevrolet's first global midsize sedan and will eventually be sold in nearly 100 countries on six continents. It is already on sale in South Korea and China, with sales to begin this year in more than 70 additional countries, including Canada, throughout Europe, Scandinavia, the Middle East, Africa and other Asia-Pacific markets. 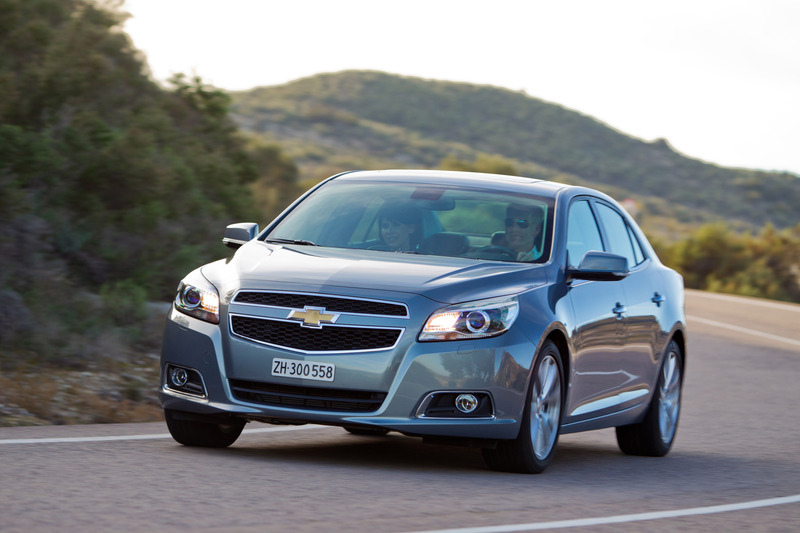 In the United States, current generation Malibu sales are up 4.4 percent for the first two months of the year, building on 2011's near-record U.S. sales of nearly 205,000. 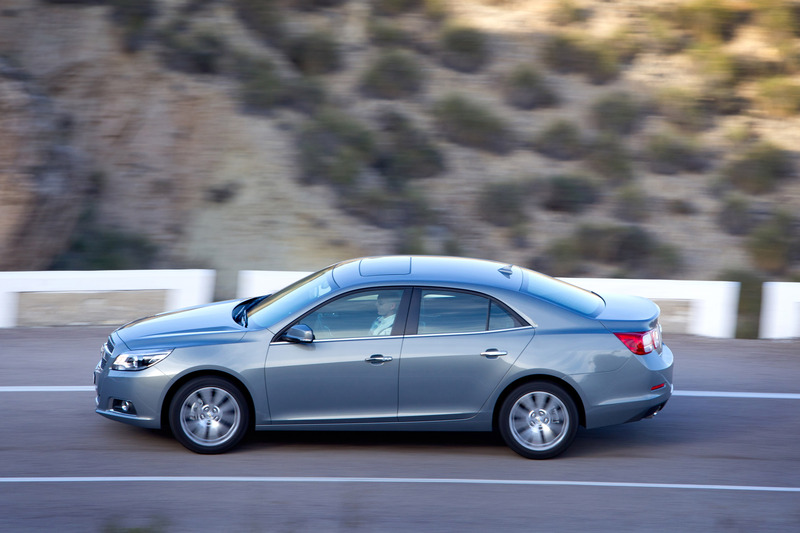 The new Malibu was designed to be the most finely tuned Chevrolet midsize sedan ever and is built on an award-winning global architecture that helps deliver a more confident, responsive and connected driving experience. The body structure is 20-percent stiffer for a greater feeling of solidity, quietness and quality. Nearly 4 cubic feet (113 liters) of additional EPA interior volume. 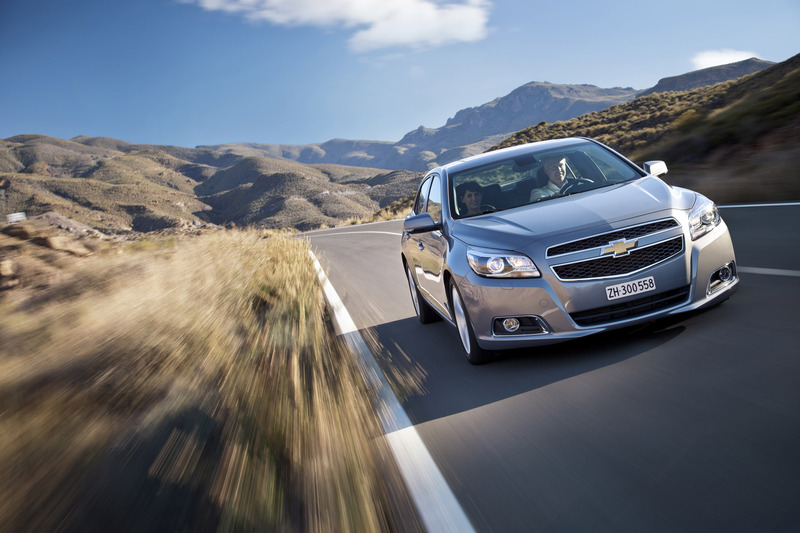 Malibu's driving experience is also enhanced with Chevrolet MyLink, an all-new in-car infotainment package that gives customers a higher level of wireless connectivity and customized infotainment options while building on the safety and security of OnStar. MyLink is safe and easy to use. 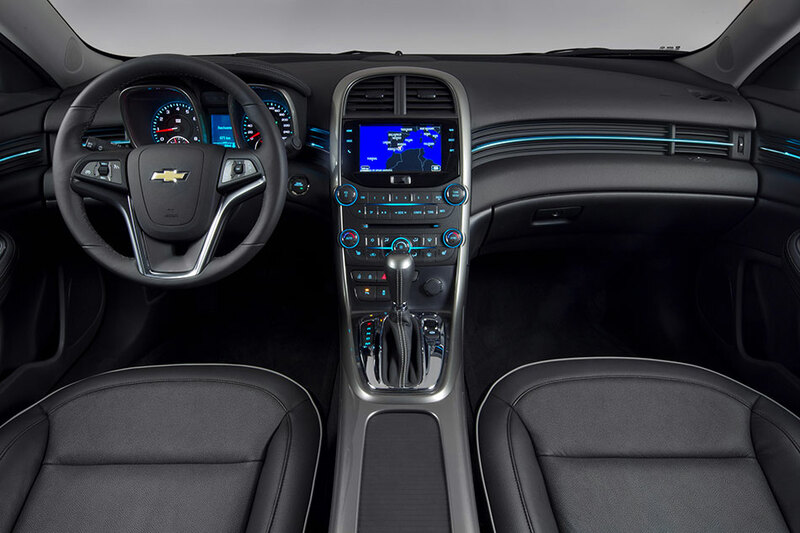 It adds stereo audio streaming and wireless control of smartphones, building on the voice-activated Bluetooth hands-free calling capability already offered in most Chevy vehicles. MyLink is standard in LT, LTZ and Eco Malibu models, along with a seven-inch, high-resolution, full-color touch screen display that makes media selection easy to navigate. The radio face also swivels up to reveal a hidden and illuminated storage area. 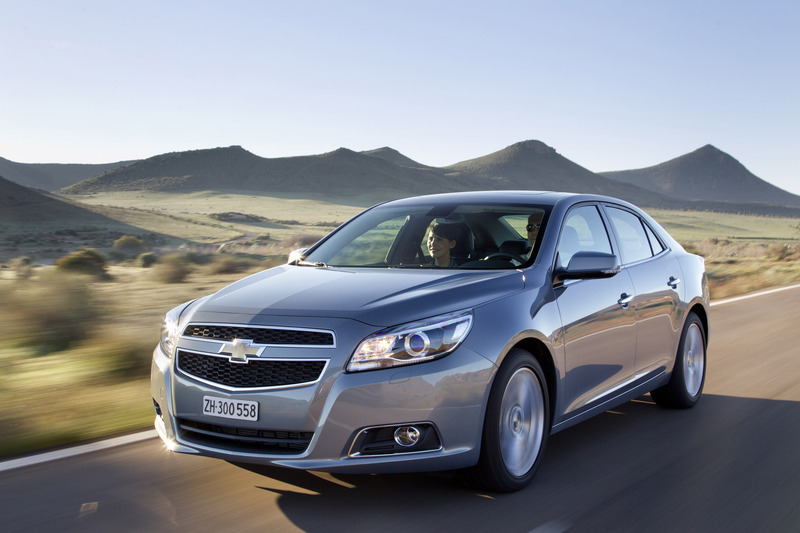 The Chevrolet Malibu Eco is on sale now and priced less than a full hybrid vehicle, with a suggested retail price of $25,995, including a $760 destination charge. 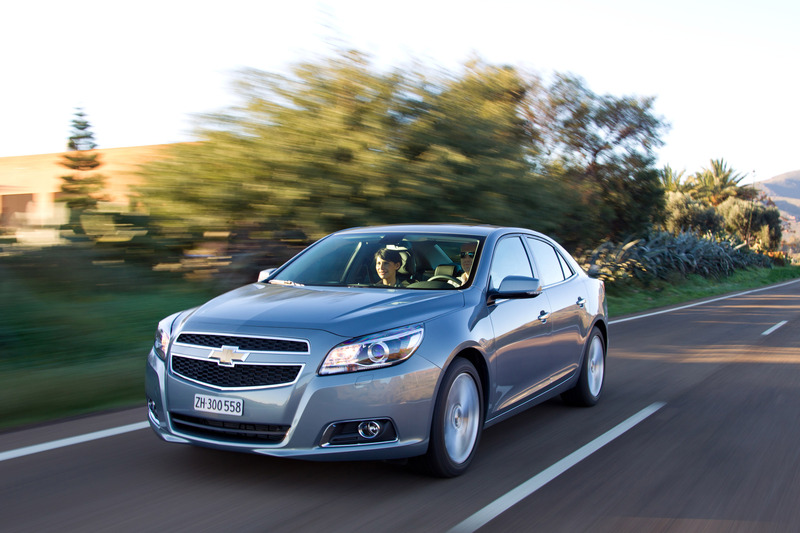 Additional models go on sale this summer, followed by the Malibu Turbo this fall.